The project area is located in Central Vietnam and comprises the whole Vu Gia-Thu Bon river basin. Regarding the administrational entities, the study area consists of different Vietnamese provinces, namely Quang Nam, Da Nang, Kon Tum and Quang Ngai. Although the City of Da Nang and the south-eastern part of Quang Ngai do not belong to the river basin, they were included in the study area, as they are relevant in terms of agricultural production and socio-economy. Thus, in total the project area has a size of 12,382 square kilometers and is bordering the Thua Thien-Hue Province in the north, the South-China Sea in the east, in the South the Kon Tum and Quang Ngai Province and in the west the Lao P.D.R. 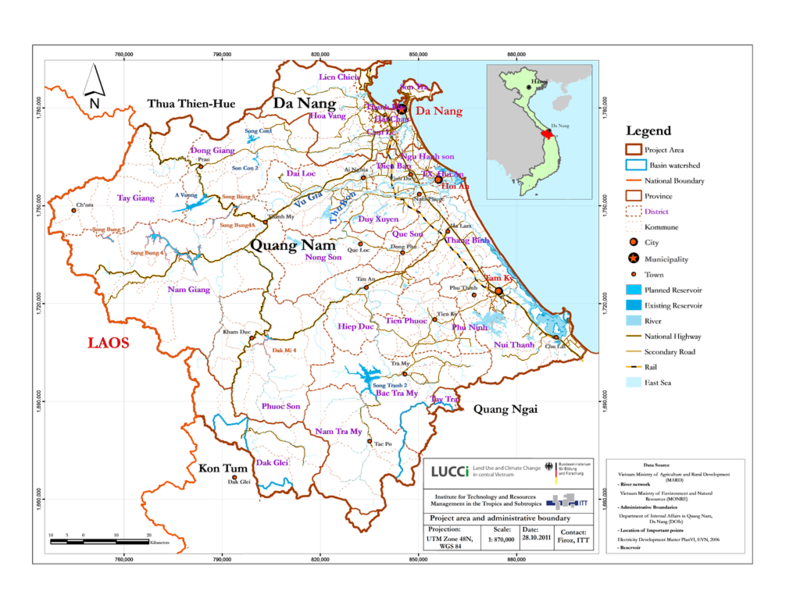 border (see figure). 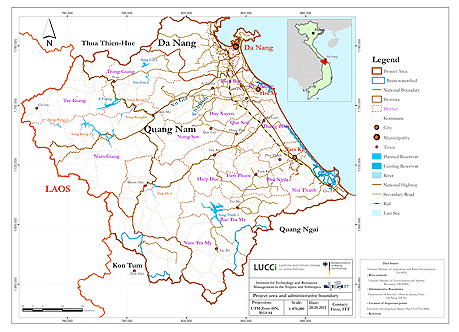 The LUCCi field research has been mainly conducted in the districts Dien Ban, Dai Loc, Phuoc Son, Bac Tra My and Hoi An in close collaboration with the District Peoples' Commitees.